Making Research Actionable for Practitioners and the Public. We are leading the way in translating the science of Adverse Childhood Experiences (ACEs) and toxic stress into direct clinical practice. We also educate parents, caregivers, and practitioners about the urgency of addressing the impact of ACEs on children’s health. 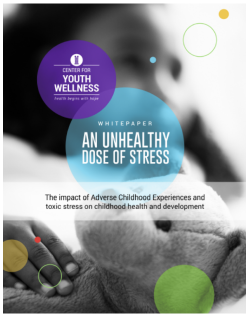 Our goal is to push ACEs and toxic stress science forward to drive clinical innovation around ACE assessement and improve the physical and mental health of children. Additionally, our clinical research program investigates and evaluates best practices for ACE assessment as well as interventions to address the effects of toxic stress. 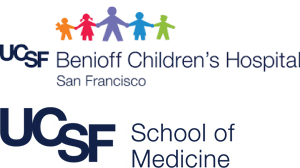 Our clinical program partners with pediatric primary care clinic Bayview Child Health Center (BCHC) in San Francisco. We collect standardized physical and behavioral health metrics through our integrated behavioral health-primary care partnership to assess treatment effectiveness of our clinical interventions. The results of a formative evaluation of our model, which is underway, combined with best practices reported in the current scientific literature, will drive the design and testing of new science-based strategies to protect pediatric patients from the disruptive effects of toxic stress. Our research team recently completed a systematic investigation of more than 15,000 scholarly articles from the pediatric and scientific literature to identify current best measures, practices and interventions that address the impacts of ACEs and toxic stress on children’s health outcomes. Our aim is to inform widespread practice changes related to ACEs in primary care by publishing the results of this systematic literature review in peer-reviewed journals, and by making portions of the systematic literature review available on the National Pediatric Practice Community on Adverse Childhood Experiences (NPPC) website. In partnership with the UCSF Benioff Children’s Hospital Oakland and the UCSF School of Medicine and Pharmacy (Adversity Bio-Core (ABC) Bank), our research team designed a two-year randomized clinical study to validate and evaluate the feasibility of an ACEs screening questionnaire in pediatric primary care, test interventions to mitigate impacts of toxic stress in pediatric patients, and collect biomarkers associated with the risk of toxic stress. The study is currently underway and results are expected to be published in 2019. This study was funded by grants from the Tara Health Foundation and Genentech. Read more about the science of ACEs and toxic stress.